Mulan performs local multiple DNA sequence alignments of finished and draft-quality sequences. It identifies transcription factor binding sites evolutionarily conserved across multiple species. Finished (one contig per sequence) DNA sequences. All the sequences can have gene annotation and any of the sequences can be represented as a base sequence. 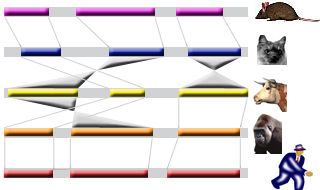 Identification of transcription factor binding sites conserved across multiple species could be performed with the use of interconnected tool. Draft (multiple contigs per sequence) DNA sequences with a finished reference sequence. 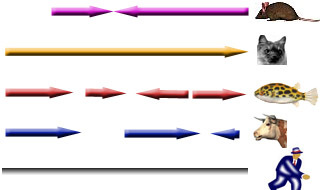 Reference sequence can not be changed and genes can not be annotated for the secondary sequences. Order-and-orient maps based on the reference sequence will be constructed for each of the secondary sequences.